Exclusive signature ingredient with incredible properties for the skin: regenerative, protective, strengthening, soothing. 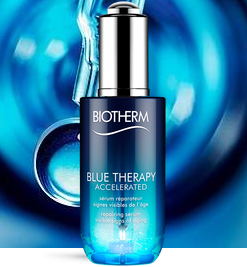 A miracle ingredient captured through Fermogenesis™, Biotherm’s exclusive biotechnology fermentation process that captures Life Plankton™ at the peak of its regeneration. Friends & Family Sale- 20% off + free shipping (excl Gift sets & Jumbo) AND GWP on $135+(before discount) at Biotherm Canada!